A logbook loan typically allows customers to borrow up to around 80% of the trade value of the vehicle, using their car, bike or van as security against the loan. Logbook loans typically range £500 and £50,000 and tend to last between 1 and 3 years. They can be a great way to take out emergency loans when you really need some help before the end of the month. What Information Do I Need To Provide For a Logbook Loan? Regulated in the UK by the Bill of Sale Act 1878 and the Bill of Sale Act Amendment Act 1882, logbook loans allow speedy borrowing of much needed funds. As part of the process of taking out one of these loans, the vehicle’s ownership is transferred to the lender through a ‘bill of sale.’ The borrower will give over their V5 Registration document to the lender for the duration of the loan. In addition, the borrower may need to provide a number of personal and relevant details such as a valid MOT certificate, proof of address and other details. Throughout the duration of the loan, the lender will retain ownership of the vehicle, which will only be reinstated to the borrower upon completion of the loan repayments. Logbook loans are a very easy and convenient method of borrowing up to £50,000, in a way that causes minimum disruption and change to the borrower’s financial status; allowing the retention of the vehicle so long as repayments are kept up to date. Get in touch with us today to find out how one of our providers can provide you with the much needed logbook loan, to help get you on the way to securing that much needed loan. Taking out a logbook loan is an easy process and subject to the necessary checks and formalities, you could get the money in your account on the very same day as your application. Once the relevant documentation and paperwork is completed, you will start your agreed payment plan with our logbook loans partner, Loans2Go. Whether using a desktop, mobile or tablet device, you can make an enquiry easily and in a matter of minutes for that much needed loan. Once approved, same day appointments are generally available. Whether using a desktop, mobile or tablet device, you can apply easily and in a matter of minutes for that much needed loan. Which Vehicles Are Eligible For Logbook Loans? No matter the type of vehicle you wish to use as security for a logbook loan, all types of vehicles, all ages are generally considered. From cars, to vans, motorbikes, classic cars and others, there is certainly no shortage of options for vehicles to use as loan security. As long as you own the car and it’s free from finance you can get started immediately with applying for a loan. Motorbikes are a popular vehicle to secure your loan against. With many models of motorbikes costing well over £5,000, if you are a motorbike owner, you will likely be able to borrow over £1,000 secured against your motorcycle. Depending on the provider and their lending criteria, logbook loans for vans may include transit type vans, camper vans and flatbed type vehicles. With the vast majority of vans and van type vehicles being used as tools of work to generate income, it is of paramount importance that you are able to make repayments. Just because a vehicle is older, doesn’t mean you can’t use it as the required security for a logbook loan. Older cars, such as those that may perhaps be 5 years old or more are often eligible to be used for a logbook loan. Lenders tend to favour newer cars, as they are worth more and therefore greater amounts can be secured against them for the loan. However, it is always worth checking out a number of logbook lenders to see which will provide you with the loan that is best for you, using your older car. What Makes Logbook Loans So Popular? There is no shortage of loans around in the UK. No matter the amount you are seeking to borrow, the chances are that there is a loan that will work for you, your family, your credit rating and your financial status. However, for those who may have been refused credit previously and who are finding it hard to secure a loan elsewhere, logbook loans plug the gap in the market. Increasing numbers of people in the UK now own a vehicle of some type; be it a van, motorcycle or car. Hence, using a vehicle as security is a very convenient way to secure that much needed loan. Whilst logbook loans are a popular and useful way to borrow money and potentially receive funds very quickly into your account, as with all secured and unsecured loans, there are a few risks that you should consider before taking out such a loan. Subject to all risks being accounted for and your financial status and earnings being taken into account, a logbook loan could well be the convenient solution you have been seeking. 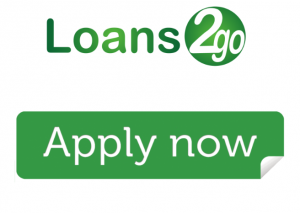 Start your application today by clicking on apply now below and you will be able to submit your application directly with our trusted partners at Loans2Go.